A skinned mesh is an object that can contain both mesh geometry and animation data. It is usually used for rendering characters with a bone-based animation or a morph target animation (also known as blend shapes). The animation data and the mesh geometry can be stored in a single .mesh file or in separate .mesh and .anim files. Separate files are usually used for complex objects with a number of animation (for example, characters), single file is usually used for simple objects (for example, lift doors). Skinned meshes are created in the third-party graphics programs (such as 3ds Max, Maya, etc.) and can be converted to the Unigine native format via plugins to 3D editors (.mesh and .anim). The maximum number of bones per surface is 128. The maximum number of active morph targets is 7. The maximum number of surfaces organized in hierarchy in skinned mesh is 32768. On the Menu bar, click Create -> Object -> Mesh Skinned. You can change the path to the mesh at any time in the MeshSkinned tab. 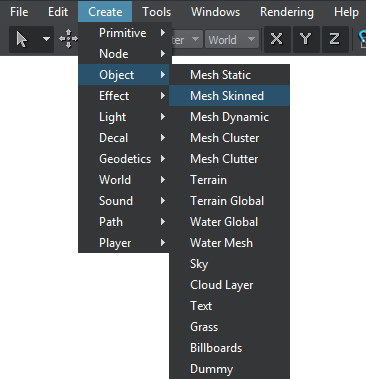 Choose the mesh in the World Hierarchy window and go to the Mesh Skinned tab of the Parameters window. In the Mesh field choose the path to the new .mesh file. In the Animation field, choose the path to a new .anim file. Play an animation in a loop. Set the flag identifying that the mesh animation is controlled by a parent skinned mesh. 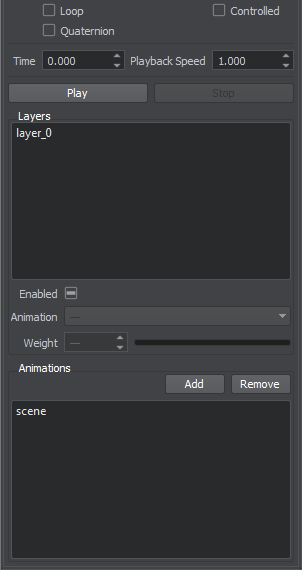 Set the animation time, in animation frames. The time count starts from the zero frame. If the time is set to be between frames, animation is blended. 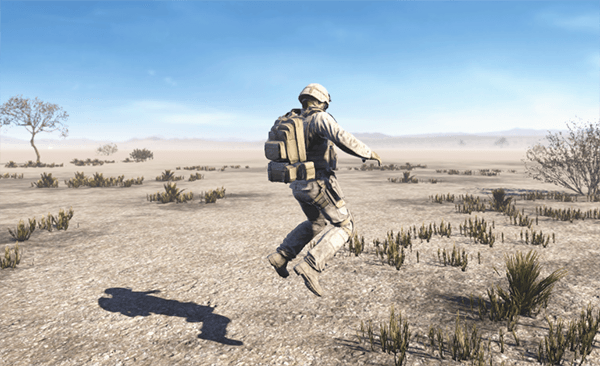 If the time is set outside the animation frame range, the animation is looped. The multiplier of the animation playback time.